The gold industry has a new king. 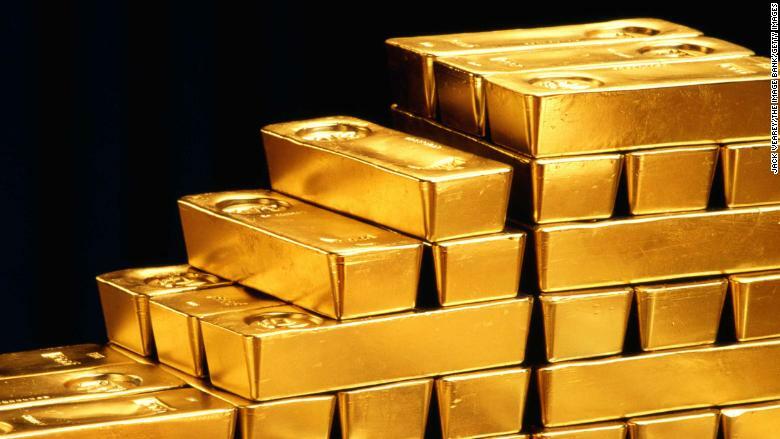 Canada's Barrick Gold (ABX) is buying rival Randgold (GOLD) to create the world's biggest gold miner, the two companies announced Monday. The combined entity will have a market value of more than $18 billion. Barrick shareholders will end up owning about 67% of the new company. John Thornton, Barrick's executive chairman will hold the same role at the merged group, while Randgold chief Mark Bristow will be president and CEO. The new company will control five of the world's top ten gold mines and have "the largest gold ‎reserves amongst senior gold peers," Barrick and Randgold said Monday. The massive merger comes during a tough year for the gold industry. Gold prices have fallen almost 9% so far this year, and last month dipped below $1,200 an ounce for the first time since January 2017. Barrick and Randgold are hoping that joining forces and combining their immense resources will help them weather the storm. "Our overriding measure of success will be the returns we generate and not the number of ounces we produce, balancing boldness and prudence to deliver consistent and growing returns to our fellow owners," Thornton said.